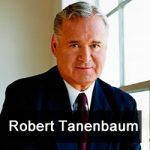 Robert K. Tanenbaum is a nationally known attorney and legal expert. He’s a frequent TV guest for legal expertise and had a career as both a successful prosecutor and high profile defender. During his career, Robert never lost a felony trial, something few lawyers can say. He helped convict hundreds of violent criminals, prosecuting them to the fullest extent of the law.